Note: *This post contains affiliate links, helping me to support my family at no extra cost to you. Thank you for your support! My favorite space to read is outside lounging on a chair in the hot sun! My one daughter loves to read smothered in comfy pillows with soft pillowcases while having a blanket hanging over her entire bed. She turns on her star light in the corner with a dim lamp so it looks like she is reading under the stars! My point is, everyone is different… even within the same family! What is an ideal reading space for you may not be ideal for your child. Please involve your child in the creation of his/her reading space. Consider the type of lighting your child prefers to read in, the environment, time of day most reading will be done, and so on. I have heard many parents tell me that they themselves dislike reading, but that they want it to be different for their child. Some even state in front of their child how much they themselves hate it! However, if reading is not being modeled as something of value within the home, how will it be viewed as valuable? Modeling reading can include anything from reading your favorite book, magazine or comic book… as long as it is done free of other distractions such as checking out the latest updates on social media. 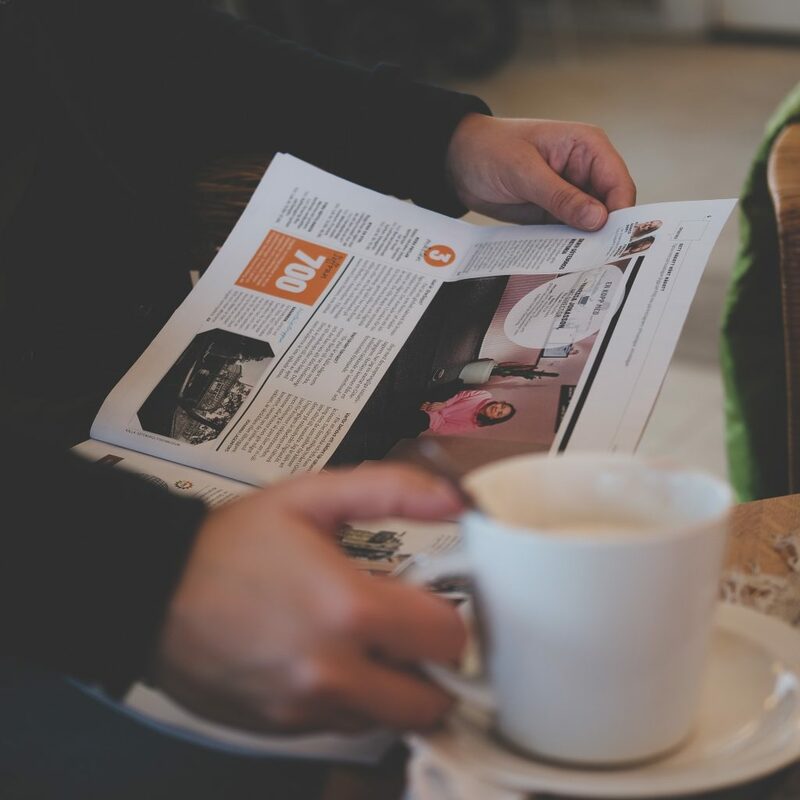 Enjoying a nice, hot beverage while reading can be a nice way to enhance the experience. Offering a special drink for your child that is only offered during reading time can help associate reading as something for him or her to cherish as well. Other than that, we tend to allow our children to stay up later if they are reading. It is amazing how motivating this one factor can be… even if it is only 15-30 minutes! When the option is to simply turn out the lights or stay up later if seen reading, the choice practically ALWAYS is to read! Research shows that reading before falling asleep enhances one’s sleep as well, which is an added benefit. Books, to me, are like music. My song choices vary depending on the mood I’m in as well as the tone and messages I am in the mood for. I love variety in my music! I also love variety in my books! Sometimes I’m in the mood for a super easy read that simply makes me smile. I still love to read Archie comics, for example. I loved them as a kid… still love them as an adult! 🙂 Most days, however, I’m in the mood for a much deeper read. I tend to change it up a lot! In fact, it is not uncommon for me to have a few books on the go at once in which I pick up whatever I’m in the mood for on any given day. My hubby, on the other hand, is a one-style reader and pretty much always reads a book from start to finish before picking up any other reading. He loves any book written by Lee Child. He is extremely predictable in his reading! My adult son likes to read about influential people. He recently enjoyed Kevin Hart’s I Can’t Make This Up: Life Lessons. Please involve your child in picking out reading material. Just as the adults in my house go for different genres and reading material, so likely will each individual in your home. Even my 3 daughters rarely pick the same type of books as each other! I honestly don’t care as long as they are reading and developing a love of reading! I recommend checking out the local library or going book shopping together. You will want to ensure there is easy access to the reading material your child will enjoy most. Be sure that it is either reading material that is at the independent or instructional reading level. If you need more information as to what I mean by this, please check out Strategy 1 in this blog post. Having a special shelf or home for your child’s books once they are in the home can also be of benefit. My kids like baskets in their room for their go-to books. I don’t know about your kids, but mine like to be heard. I am always amazed at how much they have to say when I am doing laundry, for example. Suddenly each of them has something to show me or tell me about! I guess they figure I’m more likely to be fully engaged in the conversation when I have a job to do that requires me to be in one area, haha! Whatever this time is for you, don’t hesitate to slip in a question or two about the book your child is reading. Bringing up a few tidbits from your own reading is great as well! This helps our children empathize with characters and further emphasizes the value seen in reading. 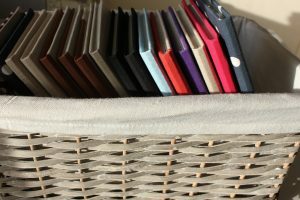 What if My Child Still Refuses to Read? 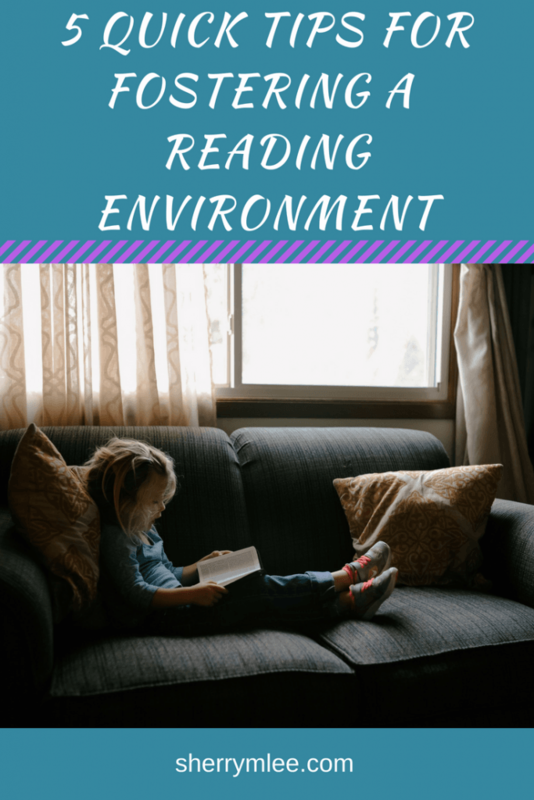 If the reading environment is ideal and your child is still refusing to read, there is a possibility that reading is not a comfortable activity for your child. There may be a barrier in place that needs to be overcome so reading can become comfortable and something that is done with confidence. Does your child prefer to be read to? Reading to your child provides great bonding time. This is true no matter what age our child is! Check out my suggestions for chapter books for reluctant girl readers as well as for reluctant boy readers. I also have a post about hilarious chapter books to read to your child. 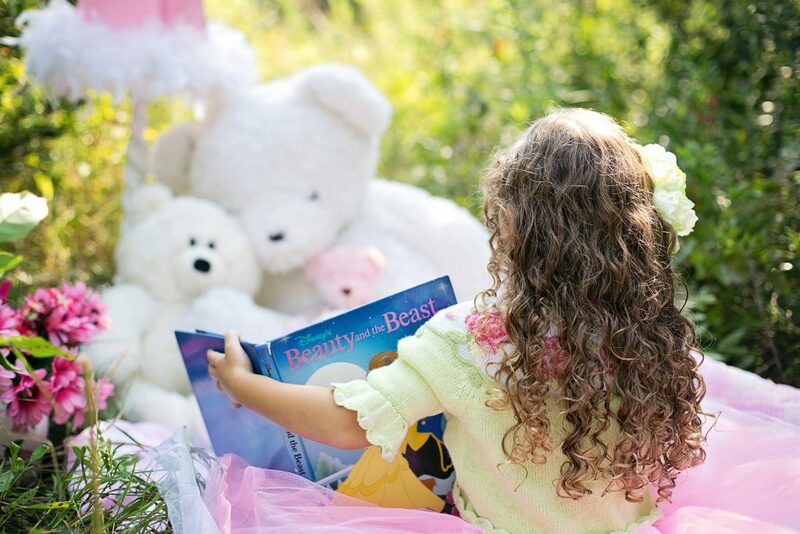 Do you have any favorite tips for creating a reading environment for children? What is your favorite environment to read in? Please let me know in the comments below. Great ideas! I am often surprised by the amount of people who say that they hate reading, but want their children to enjoy it! Great tips! We follow most of them, my girls love story time before bedtime. I love these suggestions! 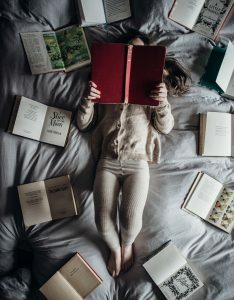 As an English teacher, I realize there’s only so much I can do in the classroom to foster a love for reading and much of it starts at home and from an early age (I teach high-school so unfortunately it’s difficult — though not impossible– to convert book haters into book lovers at that age). When I was a child, I naturally loved to read so my parents never had to persuade me, but because I was shy, introverted, and not particularly athletic, it suited my personality. Plus, there weren’t smart phones or social media or any of the myriad distractions we have today. Our family didn’t even have a computer until I was 10 and it was a VERY slow dial up modem. 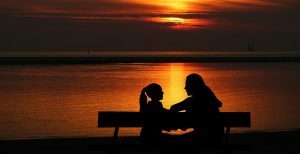 Today’s parents have much bigger challenges when it comes to competing against all the distractions, and your suggestions are excellent ones! With electronics and too much screen time for little kids I really want to encourage reading. My niece is 2 years old and is obsessed with phones and just sit on the couch for hours and play on the iPad. I really want my little girl to love reading as much as me. What’s your suggestion on screen time? Is there a way to allow your kids screentime/tv but also foster reading? Great advice! What’s your thoughts on screen time/tv? Is letting your child have those counterintuitive for encouraging reading? It doesn’t have to be, especially when screentime is an activity that is being enjoyed with your child. There are suggested guidelines today for screentime that varies with a child’s age. These can be found online and may vary a bit depending on the source. Great ideas! I have one child who is a natural reader like me and one who isn’t. The one who isn’t needs a lot more coaxing, choice of books, and regular schedule but we are getting there! Reading is an amazing thing and much needed these days when kids are so fond of smartphones. Yes, reading isn’t going away. It is of tremendous importance that our kids learn to read. My kids LOVE reading. It has always been a goal of mine to raise book lovers. My mom instilled the love in me and i’m so glad I have the opportunity to share with them. Thank you for this! Great tips! I love the idea of a reading space! I have always loved reading and work really hard to ensure my children also enjoy reading. Love all of your suggestions! These are great suggestions. If only I could get my kids to even be INTERESTED in books at all! This is great! We read everyday with the kids. It is really an activity that brings us a ton of joy and brings us closer together. I read every night to my son before bed. He’s only 13 months, but i hope by reading to him every night he will learn to love reading. One of our lower shelves on a book case houses all his picture books. He loves to walk over and pull them off the shelf and open them. We love books around here! I am praying my daughter loves to read more and more as she gets into grade school! I love these ideas! Childhood literacy is a passion of mine, so I will definitely be implementing some of these tips! Thank you! Love all these ideas! Thank you! These are great tips! I am a newbie homeschooler so these are so helpful to us!